Obituary for Gladys (Myers) "Toni" Reck | Feiser Funeral Home, Inc.
Gladys “Toni” (Myers) Reck, born on January 21, 1932 in Hanover, Pennsylvania, to the late Clara Myers and the late John Myers, passed away peacefully at age 87 on January 28, 2019 in Gettysburg, Pennsylvania. Toni was married to Max Reck Sr, her husband for more than 60 years. 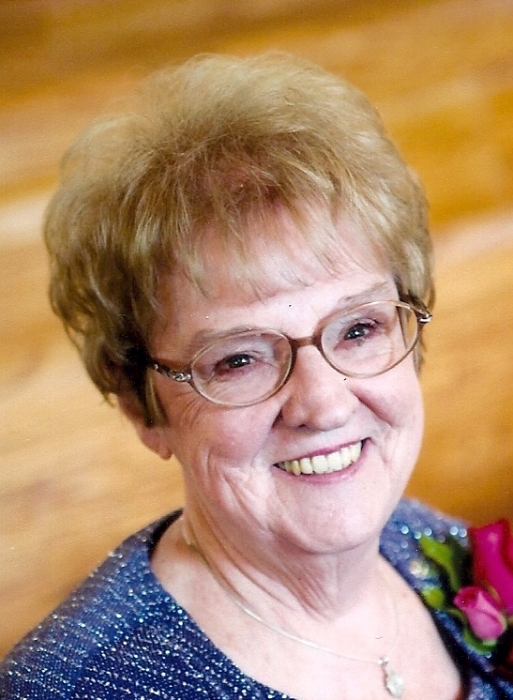 Toni was a resident of the Hanover/New Oxford area all of her life and an active member of the community. An avid reader, Toni was a librarian at the New Oxford Community Library and children’s story time reader for more than 10 years. Toni was also very active in the community of New Oxford, where she regularly volunteered as an event organizer at New Oxford’s annual antique show & flea market. She was a devoted animal lover, adopting an orphaned barn cat, several house cats and dogs over the years. Her love of animals was infectious and she instilled it in many others. Toni also loved the outdoors, taking walks, trips to the beach or just sitting in the sun chatting or quietly reading. Nothing, however, brought her more joy than being with family. She was especially proud of and doted over her three grandsons. A beloved wife, sister, mother and grandmother Toni is survived by her son Max Reck II of Loomis, CA and her grandsons Garrett Reck, Alden Reck and Mason Reck also of Loomis, CA. She is also survived by her husband Max Reck, Sr. of Gettysburg, her sister Helen Klunk and brother Willis Myers both of Hanover. She was a member of Immaculate Conception Catholic Church in New Oxford. Friends and family members are welcome to attend a Mass of Christian Burial on Friday, February 1, 2019, at 1 PM at Immaculate Conception Catholic Church, 106 Carlisle St, New Oxford, with Rev. Michael Letteer officiating. Burial will be private. A viewing will be held on Friday at the Feiser Funeral Home, Inc, 302 Lincoln Way West, New Oxford, from 11:30 AM to 12:45 PM. Memories may be shared at www.feiserfuneralhome.com.